Tube Geek wrote: Have they revealed their route? It's up to Peter. I was just there. He did the entire planning, door positions, everything. Did you even read what I just said? Not the best etiquette to ask, anyway. I thought you might know, though. Or have just asked him! (second answer) and if you really did know, why did you ask? aka somebody that can't be bothered to work out their own routes or timings and is typical of the spoon-fed generation of kids these days who do not know how to work things out for themselves or investigate/trial by error (i.e. putting in the hard graft). Steeevooo wrote: aka somebody that can't be bothered to work out their own routes or timings and is typical of the spoon-fed generation of kids these days who do not know how to work things out for themselves or investigate/trial by error (i.e. putting in the hard graft). Yes, and when I was first playing with routes to beat Geoff and Neil's then record time of 18 hours 35 minutes, my times were coming in at around 19 and a half hours...but I didn't go crying to Geoff and Neil begging them to tell me their route or secrets of it to help me improve it - I did the hard graft and worked things out for myself. But do you have routes for 5 alternative challenges that are records? What's that got to do with anything?!! 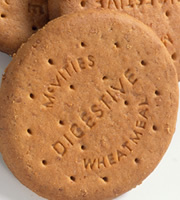 Well done, have a biscuit.